Bengt Forsberg (pronounced 'Forshbrya') was born in 1952 in Edsleskog, Sweden. He sudied at the Royal Academy of Music in Gothenburg and then in London with Peter Feuchtwanger and in Copenhagen with Herman D. Koppel. He has given many concerts and made recordings with cellist Mats Lidström, violinist Nils-Erik Sparf, and mezzo soprano Anne Sofie von Otter with whom he has made many recordings on DGG, one of which (of Grieg songs) won a Gramophone Award as the best song record of 1995 and was voted 'Record of the Year'. 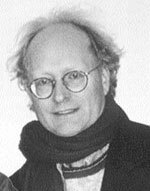 As a soloist, chamber musician and accompanist Bengt Forsberg eagerly promotes music by lesser-known composers such as Korngold, Medtner, Suk, Karg-Elert and others, as well as rarely-heard music by more well-known composers such as Fauré, Sibelius, Franck, Messiaen, Janacek, Ireland etc. He is also an organist.